PrescriBed is a wholly Australian owned and manufactured Mattress supplier. PrescriBed provides individually tailored Mattresses based on a clinical assessment of the individual’s sleeping profile. We provide Custom Made Mattresses in Melbourne and are able to ship mattresses nationwide. Our mattresses are designed for comfort. 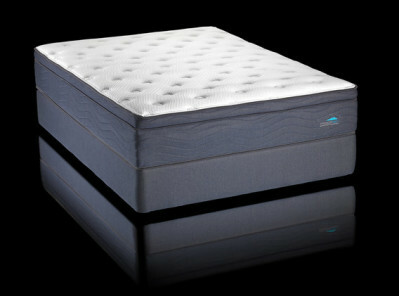 Made from the highest quality materials available, sleeping on a PrescriBed Mattress is akin to sleeping on a cloud. The prescription process involves not only a clinical assessment of your sleeping profile, but also a wide range of comfort assessments during the prescription process, designed to ensure that your mattress is not only good for your health, it also feels heavenly. Why the right Mattress Matters. Why a Custom Made Mattress will improve your quality of sleep. The right mattress will help you have a good night’s sleep and wake up feeling rested and refreshed. Sleeping on the wrong mattress can cause sleeplessness, back pain, and overall aches and pains. For people with a back problem, a mattress that isn’t a good fit can make the pain worse. In a survey of orthopedic surgeons, 95% believed that mattresses played a part in the management of low- back pain. Inadequate support of the lumbar spine during sleep could contribute to the development of low back pain. The only way to be assured that your individual body is sleeping in the correct position is to sleep on a PrescriBed Mattress. Individually PrescriBed Custom Mattresses offer the best quality of sleep and significant health benefits. How do I get a Custom Made Prescribed Mattress? Book yourself an assessment with our South Melbourne based Sleep Clinic. Our clinical team will take you through our Prescription process and design your individual mattress based on your individual sleep profile. Once your individual profile has been assessed, a custom made mattress is then created designed with the highest quality materials around your sleep profile. "I have often struggled with a sore lower back but since having a PrescriBed mattress tailored for me, I haven't experienced any pain at all. With the training I do, recovery is such an important part of keeping my body healthy so having a good night's sleep is essential,"